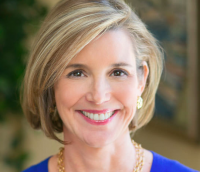 Editor’s Note: Sallie Krawcheck is the author of the new book, “Own It: The Power of Women at Work,” published Tuesday. The book, described as “picking up the women and success conversation where Sheryl Sandberg left off,” tackles the pay gap, mentorship, networking, the investment gap, the need for flexibility and female entrepreneurship, among other issues facing women in the workplace. If you’ve picked up this book, I’m guessing this may not be the first one you’ve ever read on the subject of women and success. But before we go any further, let’s get one thing straight. This book is different. I’m not here to tell you how you can achieve the elusive work-life balance or make it straight to the top in today’s business environment. Don’t get me wrong; there’s a lot of great advice out there. I’m not going to tell you how to contort yourself to yesterday’s expectations and assumptions (read: the guys’ expectations and assumptions) about how powerful people behave. But as you’ll read in the coming pages, the business world is changing—fast—and with it so are the qualities needed to be successful. So I’m not going to talk about how you can win at yesterday’s version (read: the guys’ version) of the game. I’m not going to tell you how to contort yourself to yesterday’s expectations and assumptions (read: the guys’ expectations and assumptions) about how powerful people behave. And I’m not here to teach you some not-too-hot-and-not-too-cold set of attributes or strategies or skills required to achieve yesterday’s version (read: the guys’ version) of career success. Empower (verb): to give power or authority to. That’s right, to empower women, power must be given to them. Well, this book isn’t going to be about how to look for someone—or maybe even wait for someone—to give you power and the slight sense of passivity that the definition implies. Instead, it’s going to be about how to take an active role in your future by owning the power you already have. I’m here to tell you that you already have the qualities and skills it takes to get ahead in the modern workplace, and, that in owning those qualities, you have more power and potential than you realize. So rather than looking to be “empowered,” this book is going to be about how to leverage our existing power to thrive and advance in our careers in ways that play to our strengths, how to turn our companies into places we want to work (or leave to start our own) and how to invest our economic muscle in making our lives and the world better. Who am I to tell this story? Well, I’ve been around. I spent my career on Wall Street, starting out as a data-driven research analyst: I’ve run Smith Barney, at the time part of Citigroup, where I also served as chief financial officer. I’ve run Merrill Lynch Wealth Management, the “thundering herd.” I’ve run U.S. Trust and the Citi Private Bank. I’ve led teams of more than 30,000 financial advisors and bankers and reported directly to CEOs of multibillion-dollar organizations. I’ve sat on a number of corporate boards. Today, I chair Ellevate Network, the global professional women’s network. And most recently, I launched Ellevest, a digital investment start-up for women, funded with venture capital money. Two things have set me apart in all these settings. First: I’ve invariably been the only woman, or one of the only women, in the room. And I’m going to drop a bomblet here: I believe that those two things—my being a female and my approaching business differently from the others in the room—are related. To understand this better, let’s go back to Wall Street, circa 2008. Because it was there that capitalism broke—nearly taking the global economy down with it—and I had a front-row seat. It was also then that I was fired (on the front page of the Wall Street Journal, no less); because, when the economy imploded, I alone at the big Wall Street firms fought to do the unthinkable: reimburse some of our clients’ investment losses. At Smith Barney, we had sold a set of investment products by the name of Falcon that were supposed to be low-risk. In a good market, the thinking went, their value would increase; in a down market, their value would drop, but not much. The downside was, we told our clients, maybe 8 cents on the dollar. Well, as we all know too well, in 2007 and 2008 the market did go down—a lot. Falcon? It went down, too, but not 8 cents. Not 15 cents or even 35 cents. It lost most of its cents on the dollar. Our team had misread the risk of the investment, and it had cost our clients dearly. And so I approached my boss, the new CEO of Citigroup, with the position, unorthodox on Wall Street, that we should share some of the pain of the mistake—of our mistake—with our clients. I proposed giving them back some of the money that our miscalculation had cost them. My boss wouldn’t even meet with me to discuss it. Instead, he had one of his squad let me know that his answer was no — no way were we returning any of the money we had lost our clients. Not a cent of it. Surely, I reasoned, he hadn’t understood that we had made a mistake, which we should make right. So I tried again, appealing to him with a new analysis on how badly our clients had been hit as a result of costly miscalculations; he still said no. I became obsessed, totally consumed with thinking about the clients whom we had let down. The clients whom we had built relationships with, who had trusted us to make the right investment decisions for them. And when I couldn’t think about them anymore, I thought about the long-term harm that we were doing to our business. We had shaken those clients’ confidence in us, so why would they ever want to invest their hard-earned dollars with us again? So I went back to my boss, this time with my extensively researched analysis of the long-term risk to the business if we didn’t act to regain our clients’ trust; he said no once again. I remember at one point during this back-and-forth—this would be around the time the CEO stopped calling on me in executive committee meetings—thinking that if I took this one step further on, the best outcome would be that I would lose my job and we would return some of our clients’ money. The more likely outcome was that we wouldn’t return their money—and I would still lose my job. The board of directors of the company asked to be briefed on the debate. We met with them, played out the pros and cons, and they voted to partially reimburse the clients … and, no big surprise, within months my boss fired me—yep, I was out of the company and onto my backside. The company leaked the news to CNBC before it was finalized; I’ll never forget watching it come across the tape from what would soon no longer be my office. If you’d asked me in that moment, as I was putting framed photos of my kids into a cardboard box, if I’d been fired because I was a woman, I would have told you, Absolutely not! That’s ridiculous. It was a good old-fashioned business disagreement. How could you even imply such a thing? I don’t mean I was fired because I had different body parts; I mean I was fired for being different, for challenging the majority opinion, for speaking up, for daring to go against the grain. But now, as time has given me the distance and perspective—and the research analyst in me has replaced emotion with facts—I’d say, Yes, in a way, I believe I was. I know that’s a horrifying statement. But you’ll see my larger point in just a minute. I don’t mean I was fired because I had different body parts; I mean I was fired for being different, for challenging the majority opinion, for speaking up, for daring to go against the grain. I was fired for calling out the risk, prioritizing the long term and for putting client relationships ahead of the short-term bottom line. In other words, I was fired for some of the things that the research tells me were driven … at least in some part … by my being female. Maybe I was right in taking that stance; maybe I was wrong. One can certainly argue the point both ways. But what we can’t argue is this: It would have been better for Wall Street to have had more of those kinds of disagreements, rather than fewer of them. In the aftermath of my dismissal, some of the press predicted that the job offers would come flooding in for me, given my business track record and now pretty well proven client focus. But I had broken ranks with the industry, and the message was clear: I wasn’t “one of them.” So the phone didn’t ring; the emails didn’t come flooding in. Okay, so what next? As a “recovering research analyst” with time on my hands, I spent that downtime (on the sofa, in sweatpants, often with a glass of wine handy) thinking through—what else?—the causes of the 2008 financial crisis, where this had all begun. I thought and I thought. I dug through the reams of research, and then I dug some more. It seemed like my responsibility, given my front seat on Wall Street and how much spare time I now had, to examine the issue from a number of angles. So what did I conclude caused the crash? There is of course no single reason, or even a few reasons. And there are many theories: Much of the press blamed the downturn on corporate greed. Let’s concede the point that there is greed on Wall Street. But there is greed in other businesses as well, so that can’t be the whole story. Others chalk it up to dishonesty. They claim that the powers that be at the banks knew how much risk they were peddling to their clients and chose to deceive them about it. But if it was that simple, why did so many bankers actually seem to believe in what they were selling? Why did so many of them never sell their own shares of their companies’ stock when they started to tumble? Other oft-cited reasons include too much financial leverage, the increased short-termism of business and the mind-boggling complexity of these businesses. Yes to all. But there’s one more factor. Now, I have probably worked directly for more financial services CEOs than anyone else out there. Thus, I have worked on more senior management teams than anyone else out there, and this is my take from what I saw: most of the people working in finance were not cartoon-character evil. (In all my years on Wall Street, I never witnessed a crime among them.) But they were people who had worked together for years, went to the same universities, sent their kids to the same schools, attended the same training programs, dined at the same restaurants, got promoted together, vacationed together, played tennis together, drank together and sat on charitable boards together. So my conclusion: The economy was felled not just by greed, stupidity or even deliberate deception, but at its core, by a little discussed but insidious problem: groupthink. As the 2008 economic crisis—as well as many crises of many stripes that came before it—shows us, it’s not good for anyone when the people in charge all see things the same way. When you all have the same blind spot, you can wind up in some pretty epic accidents. And what’s the antidote to groupthink? Diversity. That means diversity of opinion. Diversity of perspective. Diversity of background. Diversity of disposition. Diversity of experience. Diversity of education. Diversity of orientation. Diversity of skin color. 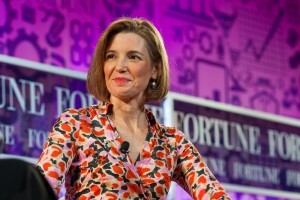 Left: Photo by Stuart Isett/Fortune Most Powerful Women via Flickr user Fortune Live Media.